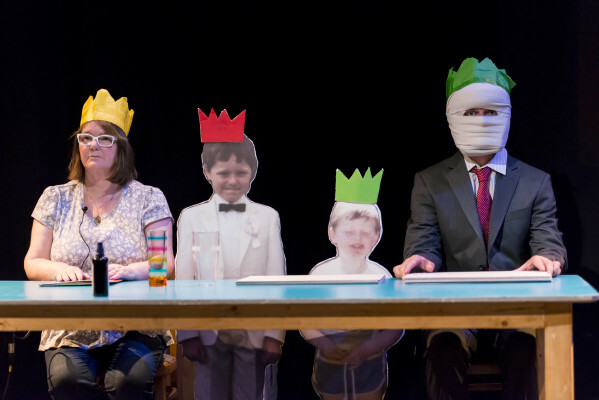 Brokentalkers’ take their awarding winning show Have I No Mouth on a national tour around Ireland this April. Multi-award-winning Irish theatre company Brokentalkers have built a reputation as one of the most important and innovative theatre companies to emerge in Ireland in recent years. This spring, they bring their award-winning work Have I No Mouth back home to tour across Ireland for the first time, following critical acclaim in Europe, America and Australia. Have I No Mouth is written and performed by Brokentalkers’ Feidlim Cannon and his mother Ann. They are joined onstage by professional psychotherapist Erich Keller who guides them through an exploration of old memories, childhood recollections, and the different ways we can heal ourselves.Have I No Mouth is a moving and astonishingly unvarnished portrait of grief, and a celebration of the ever-changing relationship between a mother and son. You can see Have I No Mouth this April and May at the following venues. Tickets on sale now. Brokentalkers are well-known to Irish audiences from their many critically-acclaimed productions, including most recentlyThe Circus Animals’ Desertionat the Dublin Theatre Festival, This Beach at Tiger Dublin Fringe, and their tour of The Blue Boy, all in 2016. Directed by Brokentalkers’ artistic directors Feidlim Cannon and Gary Keegan Have I No Mouth incorporates Brokentalkers’ trademark style of mixing documentary material with breathtaking theatricality, and was recognised with the International Total Theatre Award for Innovation, Experimentation and Playing with Form Award at Edinburgh Fringe 2013. This tour is produced by Project Arts Centre and funded by the Arts Council. Have I No Mouth was originally produced with funding from an Arts Council Project Award.